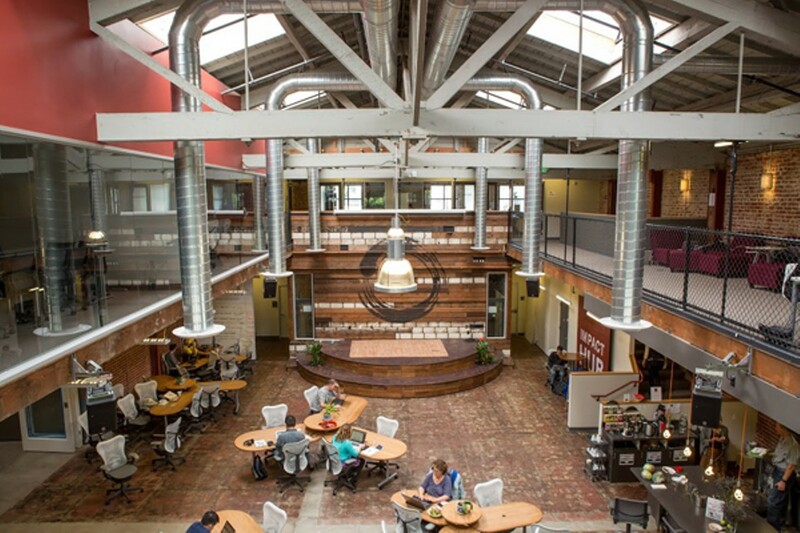 Oakland's new Impact Hub is a prime example of the growing co-workspace movement. For the past half-century, cities throughout the nation, and especially in California, have competed fiercely with each other to attract big-box retailers and chain stores. Politicians, mindful of the sales tax revenues that these businesses can generate for local governments, have dangled a host of perks — including redevelopment funds, tax credits, and favorable zoning rules — to entice corporate giants to their cities. In recent years, however, cities like Berkeley and Oakland have begun to see what small, independent business owners have known all along — that big-box and chain stores whose primary mission is to maximize profits by paying low wages and selling cheap, environmentally unsustainable products harm local economies rather them help them, and make our cities less desirable places to live. By contrast, communities that cultivate a true local economy based on small, independent businesses are experiencing a positive multiplier effect. Small, independent business owners typically live in the cities they serve and employ local workers. They also often pay living wages and increasingly are selling locally sourced and sustainably made goods. (That's especially true for the local farm-to-table restaurant movement.) The dollars they generate, as a result, often end up supporting other small, local businesses, while creating jobs and generating tax revenues for cities at the same time — rather than funding massive bonuses for CEOs or padding corporate profits sheltered in tax havens (like the Cayman Islands). "From an economic perspective, investing in local companies is the best way to get a strong local economy," explained Leanne Krueger-Braneky, director of Fellowship and Alumni for the Business Alliance for Local Living Economies (BALLE), a nationwide group that supports and advocates for buy local movements and is holding its national conference this week in Oakland. "There's a much deeper economic impact when people buy local." Buying local is also more sustainable, especially in economic downturns. During the Great Recession, several surveys conducted by the Institute for Local Self-Reliance showed that cities with active buy local or local first initiatives enjoyed more stable revenues than those that depended on corporate chain stores. They also began to experience growth more quickly during the economic recovery. And while the buy local movement is often viewed as a progressive or liberal cause, it's actually nonpartisan. A community that sustains itself through a vibrant local economy based on small businesses is less likely to need to raise taxes to pay for local services. And more local, sustainable jobs likely will decrease the need for social service programs. In California, the gutting of redevelopment — a major funding tool used by municipalities to attract large retailers and other corporations — in 2011 also forced city planners to view the local economy in a new light, and to foster the growth of small businesses and commercial districts. In Oakland and other cities, local entrepreneurs have taken it upon themselves to create commercial corridors and to reestablish once-vibrant neighborhood shopping areas. Oakland's Uptown and Temescal districts are prime examples of this movement — areas that formerly were dotted with empty or boarded-up storefronts and are now flourishing. It's a welcome turnaround from the unfortunate shift that began in the Sixties and Seventies with the birth of suburban shopping and strip malls and big-box retailers, and the hollowing out of American cities. "My grandparents and probably your grandparents shopped local," Krueger-Braneky noted. "Most communities had a Main Street where you'd go to shop. But in most places, we've lost our Main Streets." 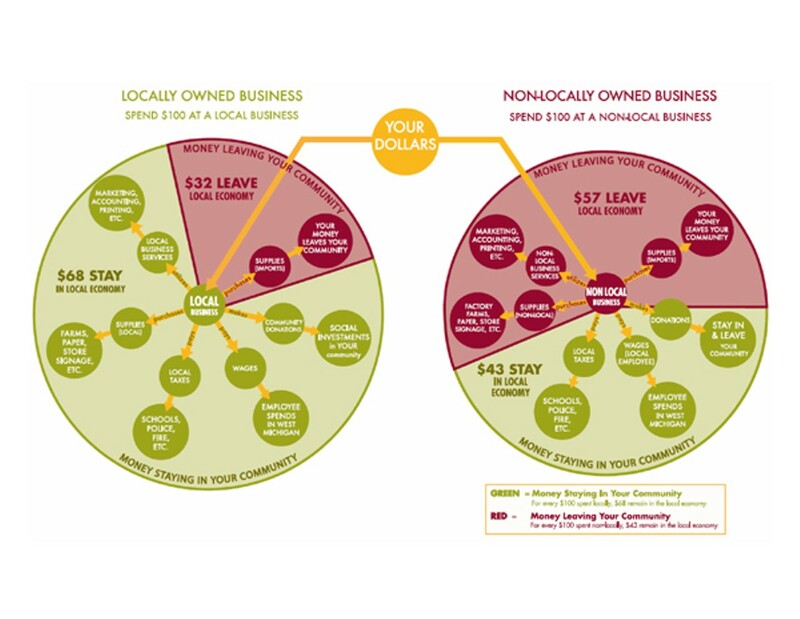 Although the buy local movement has grown rapidly in the past decade, in many ways, mom-and-pop businesses in neighborhood shopping districts have been maintaining those Main Street-like experiences — and have been talking about the importance of the local economy for a long time. Independent bookstore owners were among the first — and the most vocal — critics of the threats posed by corporate mega-malls after the proliferation of chain stores in the 1980s forced indies to close in droves. And with the rise of the internet, local bookstores faced an even tougher corporate challenge: Amazon.com. But as with other aspects of the local economy, independent bookstores are now making something of a comeback in cities, as many urban dwellers increasingly realize that such retailers can add culture to their neighborhoods. Some residents, however, still prefer the convenience of online shopping, likely not realizing that it comes with a price — the expansion of low-paying, assembly-like warehouse jobs in far-off suburbs. Amy Thomas, owner of Pegasus bookstores in Oakland and Berkeley, said she often still has difficulty persuading local book readers to patronize bookstores rather than shop online, even when she explains the obvious reasons for doing so. "What's really important is for people to get a grip on what they really want to see in their daily lives [in their neighborhoods]," said Thomas, who also has long been active in the buy local movement. Buying local also creates more desirable neighborhoods. In fact, some of the most sought-after real estate in the East Bay surrounds shopping districts with thriving small, local businesses: College and Piedmont avenues in Oakland; the Elmwood and Solano districts in Berkeley; Park Street in Alameda; and the Point Richmond district in Richmond. Another characteristic of successful commercial districts based on small businesses is that they tend to include narrower streets that discourage car traffic, and are more walkable and bikeable. But the local economy is not just about small, independent retailers. It's also about the growing maker and co-workspace movements. 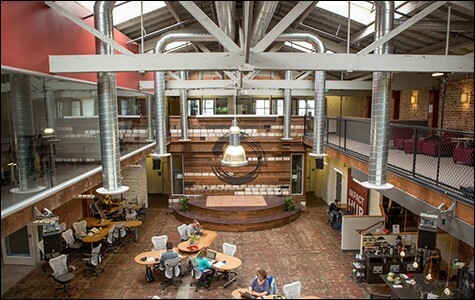 In Oakland, the most recent addition to the workspace-sharing phenomenon is the Impact Hub at The Hive in Uptown (see "The Hive Breathes New Life Into Uptown," page 40). And the maker movement, at its core, is all about trying to re-establish a manufacturing base here in the East Bay, while growing blue-collar jobs and crafts jobs for artisans. Margot Lederer Prado, a city staffer who works to attract industrial businesses to Oakland and is a co-founder of Oakland Makers, said local businesses that sell locally made goods have been enjoying economic growth recently and that local consumers are increasingly seeking out such products. As a result, she said, "it's really important to highlight where a product comes from" if it's made locally. This week's BALLE conference, "Prosperity for All," runs from Wednesday through Friday this week in Oakland. Visit BeALocalist.org for more details.